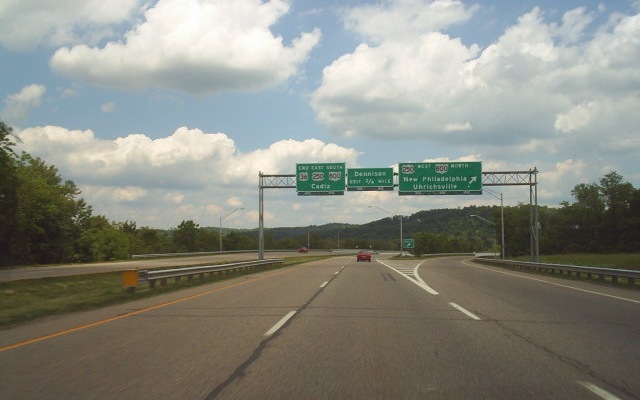 Westbound on the freeway bypass of Uhrichsville, OH. 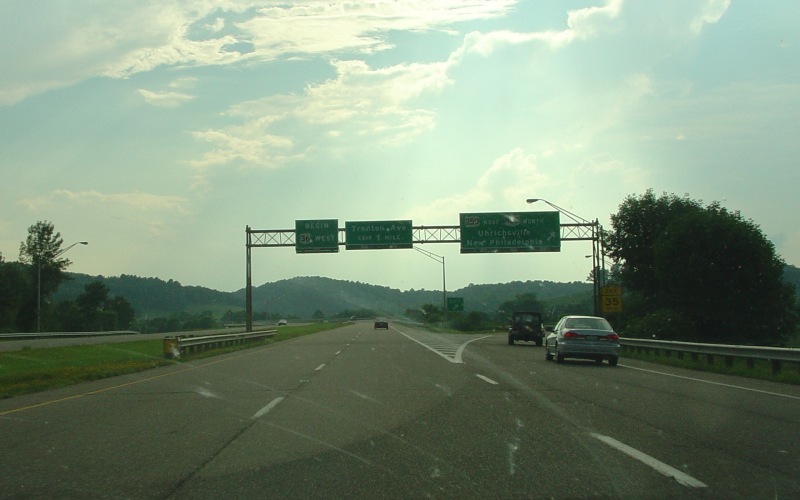 US 36 begins halfway around the bypass where US 250 splits off towards New Philadelphia, OH. Photo by Adam Froehlig, taken June 17, 2004. Looking eastbound on the other side of the interchange. Photo by Doug Kerr, taken May 29, 2005.